Find and work with your old places. When places are sold or leased, they are usually automatically archived. You can retrieve these places via the Homepass web app. View the Places tab, select the Filter button (next to search) and select Show Archived. 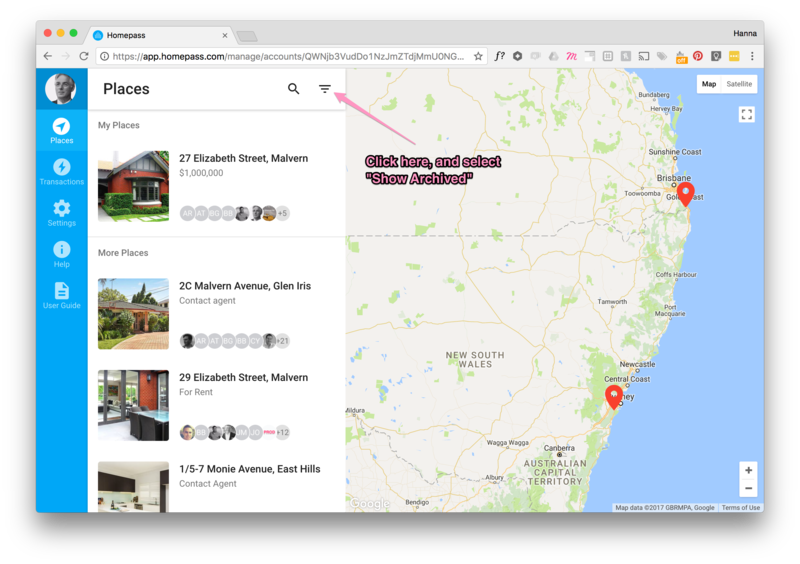 You can now use search to find older, archived places. When you've found the place, you can also unarchive it. This means it will also appear in the Homepass mobile app. Simply select the More button (up the top right), and select Unarchive.